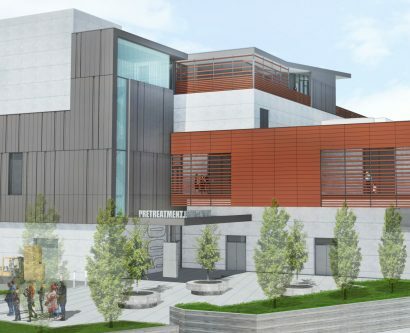 The City of San Luis Obispo Water Resource Recovery Facility (WRRF) treats stormwater and wastewater, producing recycled water for the City’s metro area. The WRRF is located adjacent to the Bob Jones City-to-the-Sea trail and San Luis Obispo Creek. 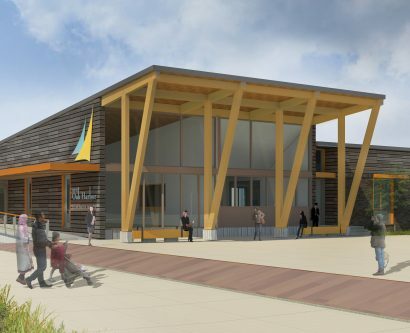 The new Water Resource Center (WRC) site includes an entry retention landscape, a demonstration wetland and an education plaza, a combined interpretive center and administrative office, maintenance area and a laboratory. 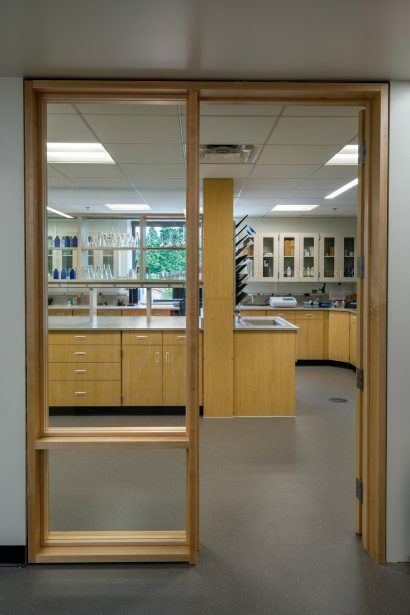 The WRC is designed to be the new public face of the Water Resource Recovery Facility, providing staff with state-of-the-art work spaces, labs, locker rooms, and maintenance facilities. The public areas include a learning center to engage and educate about water, explaining the holistic “One Water” philosophy that emphasizes the importance of water resources and their stewardship. The campus is separated into distinct areas set around a central courtyard. The indoor spaces extend into this central gathering space, keeping the staff and visitors connected to the natural landscape. 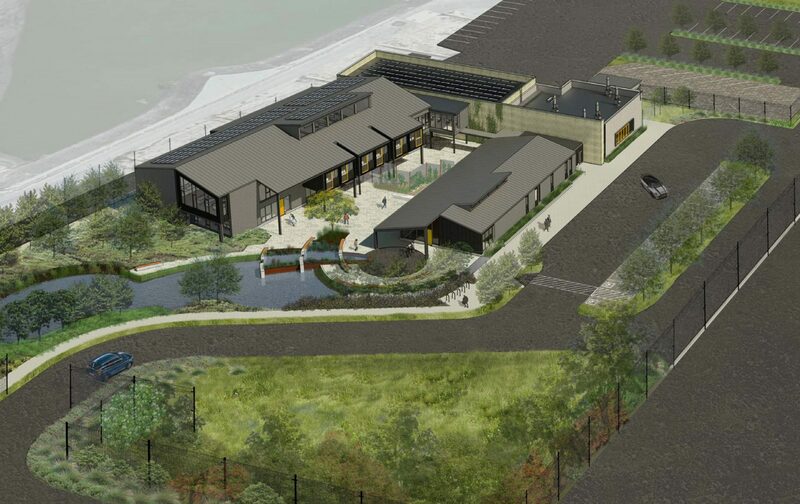 The proposed facilities do more than just provide much needed spaces for plant operations/maintenance and visitors; the buildings help define a new relationship to water, the residents and businesses served by the plant, and the environment of which it is a part. A new bike/pedestrian path runs along the access road and engages the public by offering alternative circulation within the site and borrows characteristics from the Bob Jones Trail.